Based on the hit film, this hilarious new musical follows Dewey Finn, a wannabe rock star posing as a substitute teacher who turns a class of straight-A students into a guitar-shredding, bass-slapping, mind-blowing rock band. Fifteen years ago, Jack Black starred as wannabe rockstar Dewey Finn in the movie "School of Rock." Posing as a substitute teacher to pay his rent, he ignores the curriculum and turns his class of prep school kids into a rock band. 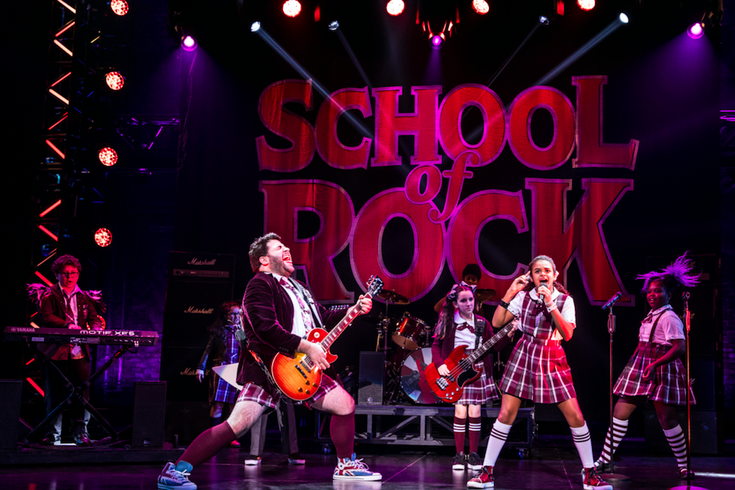 This spring, fans of the hit movie can check out the rock musical "School of Rock" at the Academy of Music. Rob Colletti will step into Black's shoes. The production includes the original songs from the movie, as well as 14 new songs from Andrew Lloyd Webber. Plus, the audience will get to see all the kids in the band rock out live, since they will play their instruments on stage. The musical will be in town from Tuesday, March 27 through Sunday, April 1. Tickets start at $20.